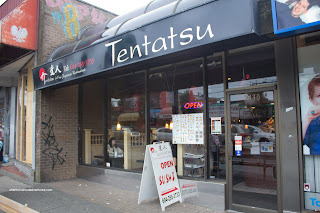 As for the food, it was pretty apparent by looking at the menu that it would be a pretty good value. Case in point, the Spicy Roll Combo set us back only $9.95. Look at it. It was 3 full rolls of 8 pieces each! I mean it ain't awesome sushi, yet for the price, it was more than acceptable. The rice was actually quite good. I'm not sure if it was a good day or what, but it had a nice consistency. 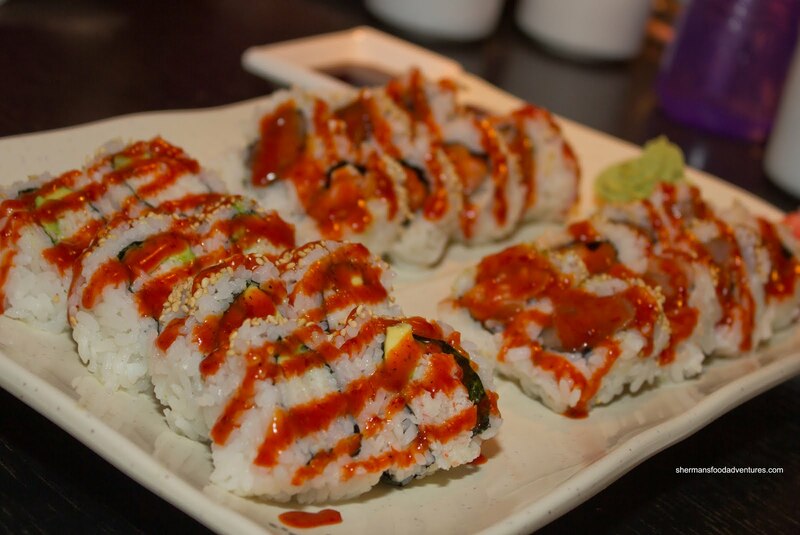 As for the the rest of the rolls, it was pretty typical spicy tuna, spicy salmon and spicy California. To get a good selection of sashimi, we decided to the motherlode of sushi combos with the Party Deluxe Sashimi. They decided to plate it in a majestic-looking boat, however, it took up the entire table. Definitely form over function much like a convertible during the Winter months here. 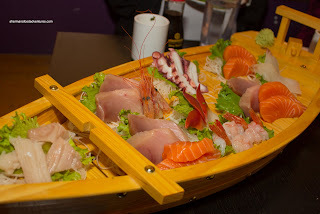 The boat consisted of salmon, tuna, hokkigai, tako, tai, amaebi and toro (spelled taro on the menu...). The sashimi was vibrant and fresh tasting. Some pieces could've been prepared better though. Otherwise, no complaints here. 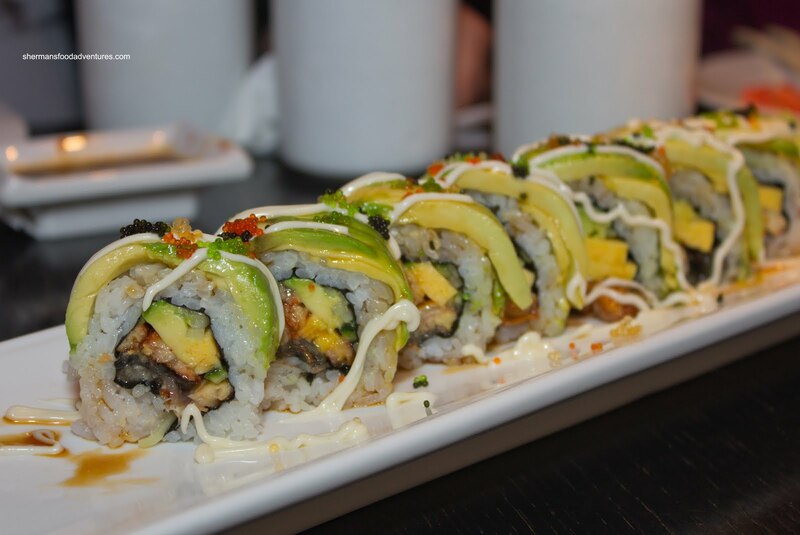 For our token specialty roll, we opted for the Vancouver Roll that consisted of unagi, tamago, avocado, cucumber and more avocado outside with tobiko drizzled with mayo and unagi sauce. 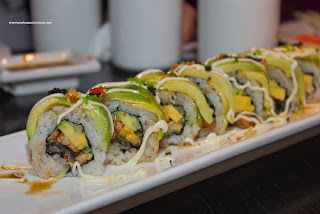 For me, this was similar to most caterpillar rolls found at other Japanese restaurants. It was pretty good and I liked the fact it wasn't dripping with sauce. A touch heavy on the rice though. 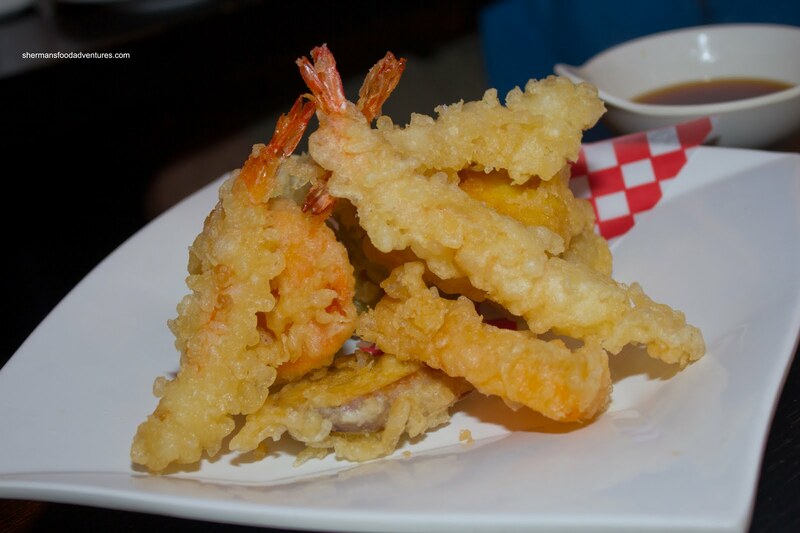 And no visit to a Japanese restaurant would be complete for the kiddies without tempura. We ended up getting the Assorted Tempura which came with the usual stuff like sweet potato, yam, broccoli, ebi and mushroom. The batter was slightly thick, yet it was still crispy and didn't feel heavy. When I asked my son what he wanted to eat, it was once again Yakiudon. For some reason, he has shied away from udon in soup. 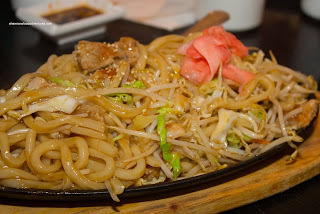 Oh well, so we got the Chicken Yakiudon for the umpteenth time this year. This was a fairly large portion with a very good noodle to vegetable ratio. I hate how some places have more veggies than noodles (and so does my son since he hates veggies). Flavourwise, it could've used a touch more seasoning (or sauce in this case), but it was far from bland. It was slightly wet and the chicken was a touch dry. A pretty average yakiudon in my books. I guess this was the reason both my son and daughter decided to not eat it when it arrived at our table. Are their tastes becoming that fine??? 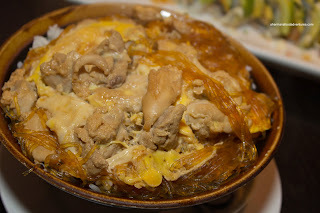 Thank goodness we predicted it and ordered an Oyako Don just in case. Apparently they were both in the rice mood rather than noodles. On that note, there was a good amount of vermicelli (or glass noodles or mung bean noodles or whatever you want to call it), which meant they were still eating noodles in some shape or form. Yes, these 2 are helping with the grey hairs for both Viv and I... Oh and the oyako don was both large in portion and properly sauced. Lastly, for no explicable reason, the Gyoza arrived. Isn't this supposed to be an appetizer? Ah, the joys of food expedition in an Asian restaurant - pure randomness... Anyways, these were good. 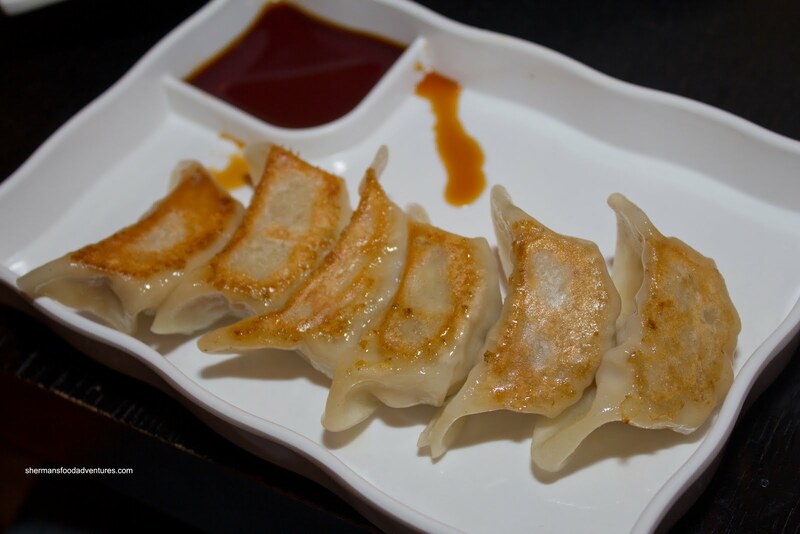 The dumpling skin was quite thin and inside, the filling was not gritty and well-seasoned. Not sure if these were made in-house or not, but it didn't matter, they were cooked up perfectly. In the end, Tentatsu actually exceeded my expectations. I wasn't really holding out much hope since many of the supposed Japanese restaurants I've been to lately have been either mediocre or poor value. The food as a whole was pretty good and the portions were very good considering the price. Service was quite sparse despite being friendly, yet that was due to the restaurant being completely full and bustling with activity. That is a clear indication they are doing something right here.